Buy New Flats B.T. Road, Kolkata Dhoot & NK Realtors Pratham new flat price rate costs charges 4 BHK Flat 2 BHK 3 BHK Flat Rooms size area Pratham flats booking online, B.T. Road, Kolkata Pratham Buy Flat details of Pratham B.T. Road, Kolkata housing project, Property & Real Estate information, 4BHK 2 BHK Flat Size Price & Facilities of Pratham Flats in B.T. Road, Kolkata. Pratham at B.T. Road, Kolkata has given the opportunity to the people of Kolkata and across Bengal to buy new flat at B.T. Road, Kolkata of Dhoot & NK Realtors Real Estate Company. Those who are looking for New Property / Flat / House nearby Dunlop, Belgharia, Rathtala, Tobin Road, Sinthi More, Kamarhati areas of North Kolkata at cheap price rate; can now contact the head office of Dhoot & NK Realtors to book new flat of Pratham, B.T. Road, Kolkata. Let’s check out more details on Pratham, B.T. Road, Kolkata. • Features Facilities & Advantages of Pratham Housing Project, B.T. Road, Kolkata: - 73% Open Space, Kid’s Pool area, AC Multi Gym, AC Community Hall, AC Indoor Games Room, Deck by the Pond, CCTV for Security reasons, intercom for security safety, 24-hours water supply, 24-hours power backups, and many other common facilities are available at Pratham, B.T. Road, Kolkata Housing Apartments of Dhoot & NK Realtors. • Pratham B.T. Road, Kolkata Flat Size, Price / Rate / Costs / Charges: - There are several types of flats are available at Pratham like 4-BHK flat, 2-BHK flat, 3-BHK flat etc and the Pratham Flat price at B.T. Road, Kolkata are varies depending on the Flat Size. Finance and Bank Loan facility is available at Pratham Housing Project for the buyers. 377 elegantly designed Apartments of 2, 3, & 4 BHK with separate servants / store area with every unit is available at Pratham Residential Complex of BT Road (Kolkata). 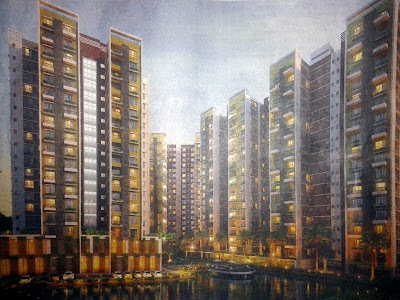 Flat / Apartment price is starting from 40.33 lacs on-wards of Pratham Housing Complex, B.T. Road (Kolkata). • Pratham Housing Project Site Address / Location: - 26, B.T. Road, Kolkata-58 [just 1.5kms from Dunlop Crossing towards Rathtala-Karmarhati]. • Pratham B.T. Road, Kolkata Real Estate Project Phone contact number: - 033-2553-6650 / 033-4040-1010. • Dhoot Corporate Office Address: - 5 J.B.S. Haldden Avenue, Silver Arcade, 2nd Floor, Room No.S2, Kolkata-105. • Dhoot Corporate Office Phone Contact Number: - 033-2334-1636. • Flat Booking Process at Pratham, B.T. Road, Kolkata: - To Book your Apartment (flat) please contact Site Address (Phone number: 033-2553-6650) or developer’s Corporate Office address as soon as possible. It is recommended to the peoples, who want to buy flats at B.T. Road, Kolkata (or nearby areas like Kamarhati, Agarpara, Rathtala, Belgharia, Dunlop), to contact Dhoot & NK Realtors as soon as possible to fill-out new flat booking forms of Pratham of B.T. Road, Kolkata or to know whether any discount / offer is going on new Pratham flat prices at B.T. Road, Kolkata.